The Penrose Road school 1st Netball Team with their PE Teacher and the Headmaster. Wendy Trewin is front row left. She played goal attack. 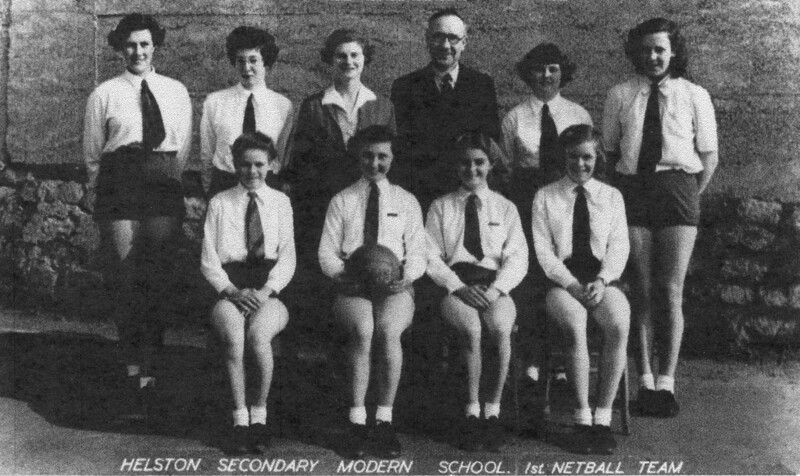 “Netball Team, Helston Secondary Modern School, 1947,” cornishmemory.com, accessed April 24, 2019, http://cornishmemory.com/item/HGS_035.